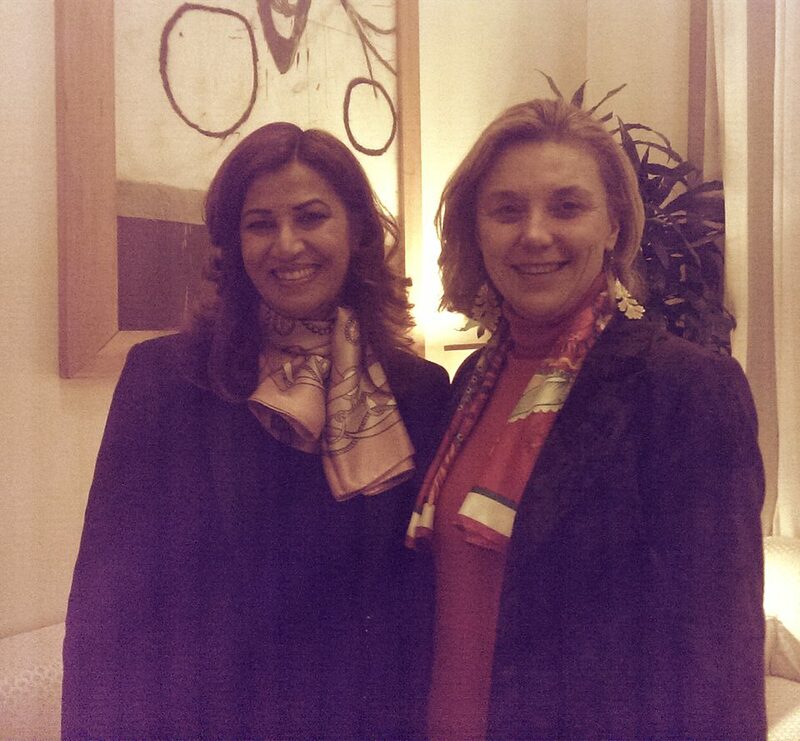 Mrs. Kader was received yesterday by the Head of Cabinet of the Minister of Foreign Affairs, Amb. Elisabetta Belloni at the Ministry of Foreign Affairs. The talks focused on the current situation in the Kurdistan Region, the humanitarian crisis and the fight against Daesh. Mrs. Kader took the opportunity to express a deep disappointment to the countries of the international coalition due to the absence of a Kurdish governmental delegation or representatives of the Kurdish peshmerga at the ministerial summit, which took place in Rome last week at the Ministry of Foreign Affairs and which saw the participation of the ministers of 23 countries, European, Western and of the region, and the High Representative for European foreign policy Federica Mogherini to discuss the strategy to combat the ISIS terrorists. The Kurdish Regional Government, the Kurdish people and its brave Peshmerga forces are the most involved actors, fighting on the front lines every day since two years until now against Daesh, which constitutes a threat to the entire international community. At the same time, despite the region of Kurdistan is part of Iraq, the Iraqi government does not intend to represent Kurdistan, support it militarily and at humanitarian level and continues to not send the budget provided by the Iraqi constitution for the survival of the Kurdish people. In addition, many cities such as Shingal are destroyed. Without a concrete support, these cities will not be rebuilt and the people won’t return to their homes, increasing the risk of emigration to Europe. Amb. Belloni, understanding the reasons expressed, guaranteed to Mrs. Kader to forward to the Minister Gentiloni her disappointment and her desire to engage the Kurdish part in such summits in the near future. In addition, the Head of Cabinet stressed the importance of the Peshmerga forces and confirmed the commitment of the Italian government in military training, in the defense of the Mosul Dam, in the humanitarian assistance, in the reconstruction efforts of Kurdish cities and to restore normal relations with the central government in Baghdad. The meeting concluded with an invitation from the High Representative to organize an official mission in the Kurdistan Region with the Minister Gentiloni.